There’s nothing quite like waking up to a good cup of coffee in the morning. But the flavours in coffee can be very distinct, which means drinking one that doesn’t agree with your taste buds might turned you off too soon. This simple guide helps you pick out the blend that’s just right for you. Whether you buy your coffee at your local coffee shop or in the grocery store, it will list where it fits on the roast spectrum. The spectrum starts with “light” or “mild” and goes to “dark” or “bold.” This is a great place to begin when you set out to pick a new coffee. For those who prefer coffee to have a neutral flavour and go down smoothly, a milder roast is best. 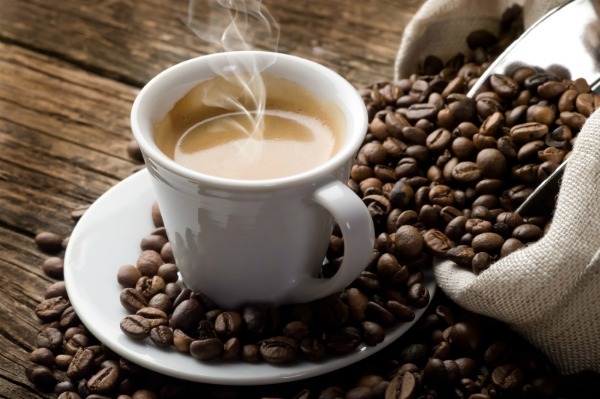 Milder coffees have a lighter body and are often less acidic, so you aren’t left with a strong or bitter taste in your mouth. Consider picking up a bag of Starbucks’ Veranda blend for a nice, mild roast. If you like your morning beverage to have a strong, dominant flavour, then a bold, dark roast is the right pick. Strong coffees fill the whole mouth with flavour and often even offer a bit of a kick on the way down. If you feel you fall somewhere in between, or are looking for a blend that is sure to please family and guests alike, there are plenty of coffees that sit in the medium range for you to choose from. When done incorrectly, growing coffee beans can have negative effects on the environment and those who work hard to harvest them. If you want to do your part with every cup you drink, look for coffees that are Fair Trade certified. This means that a higher price was paid directly to the producer, rather than having a trader involved, which can severely reduce the wages of those who actually grow the coffee. You can also look for brands that are organic, which means that no chemicals were used in the growing, roasting or packaging of the coffee. Every kind of coffee has unique undertones and flavours which complement certain foods. Different coffees can bring out and enhance tastes in what you’re eating. Foods can seem more nutty, buttery, tangy or more when paired with the right beverage. But this also means that when the wrong pairing occurs you might think you dislike coffee, when really it’s just the conflicting flavours that are bothering you. So, make sure that when you try a coffee out for the first time, you take a couple of sips on its own, so you know whether or not it’s the one for you. It’s also important to remember that coffee isn’t all about the beans. If you like the flavours in a coffee but find it a little too strong for your taste, simply increase the water-to-grounds ratio. You can also control the strength based on the fineness of the grind you use. A finer grind gives you more surface area, and can lead to a stronger flavour, while coarser grinds leave a more subdued taste in your mouth. Coffee is a great way to perk yourself up in the morning, or to end off a delicious meal. So, enjoy yourself and test out all the options before you settle on the right one for you. Is your coffee triple certified?